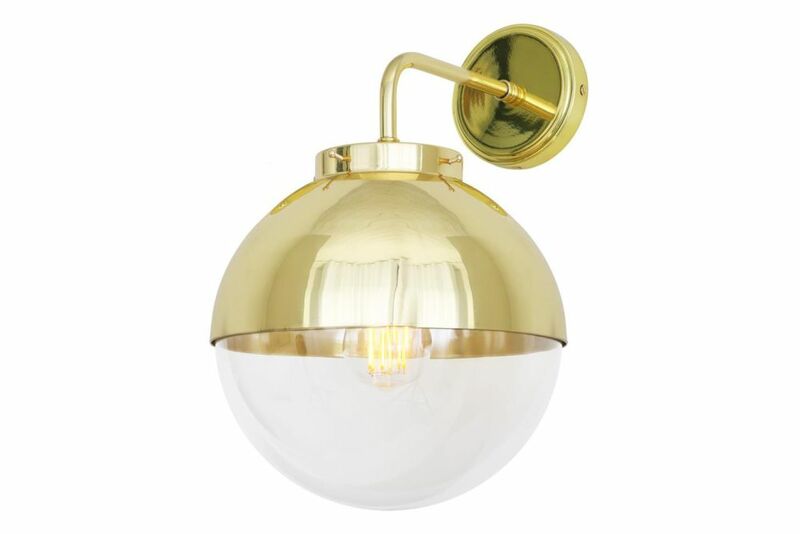 The Florence Wall Light is an unusual globe wall light made from brass and glass. The brass dome shade faces downward and is attached to a simple brass wall bracket with a brass sleeve that turns are 90°. A glass globe shade fits neatly inside the brass dome umbrella and is secured above using gallery screws. The glass shade can be in clear or opal colour.